'Dying to Live' is a radical exploration of the life of Jesus through the memories of Peter the Apostle and his translator Mark. It is a journey, not a destination. It is a continuing quest not in search of integrity but to preserve it. This book offers glimpses of a deeper relevant spirituality for today. The starting point is that the 'Gospel' of Mark was written as an interpretive biography, not as sacred text. 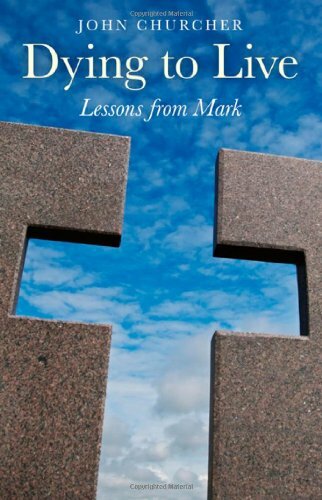 To over-spiritualise the reading of Mark is to miss the real Jesus contained within its pages. To follow Jesus is not so much concerned with 'right belief' as it is about how one lives. Jesus accepted people as they were and especially offered the outsider and the rejected dignity and a sense of personal worth. Churches have rightly encouraged charitable giving, especially to the poor and the outcast, but its creeds and doctrines have misrepresented the transformational life and teaching of Jesus, masking the hard cost of discipleship required to address the underlying root causes of violence, hunger and poverty in a world of plenty.